The Classic 400 32 in. x 60 in. x 74 in. 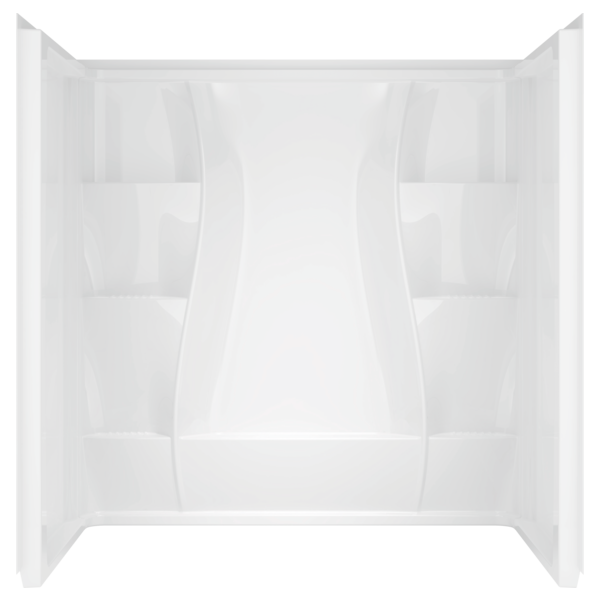 Shower Wall Set 3-Piece Direct-to-Stud Shower Wall Surround in White offers durability and style for your bath. 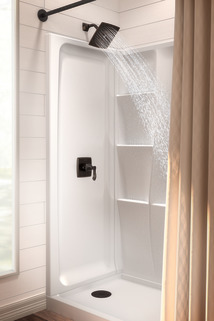 This shower wall set offers an attractive design with the strength and durability of acrylic. This wall set also features six corner shelves and one center shelf for maximum storage. Classic 400 bathing systems offer style and design with the strength and durability of acrylic material. ProCrylic™ is a durable, bright white, high-gloss acrylic that provides all of the benefits of acrylic without the need for the rough, abrasive fiberglass backing. Fits alcoves 60 in. x 32 in. x 74 in. 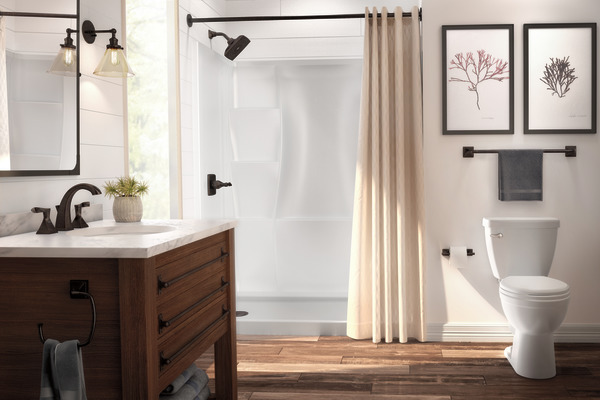 Does the back wall have an integrated towel bar or grab rail? 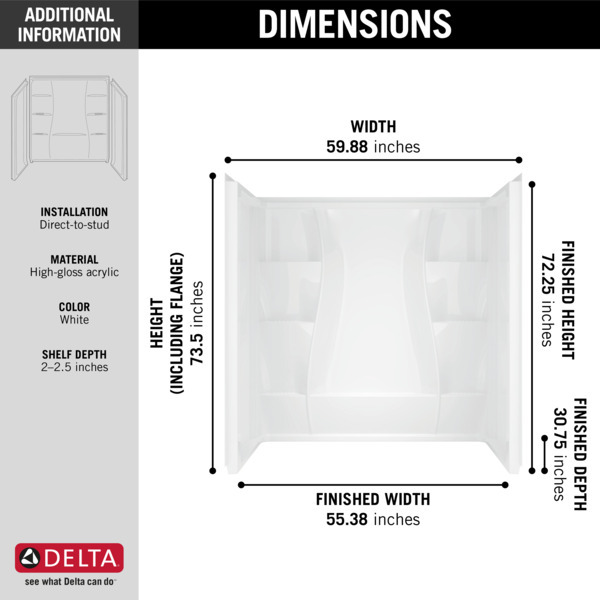 What accessories are available with the Delta Classic 400? 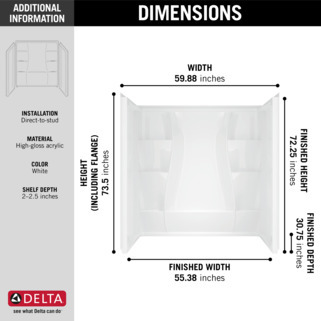 Is this item available in 62''x32'' size? 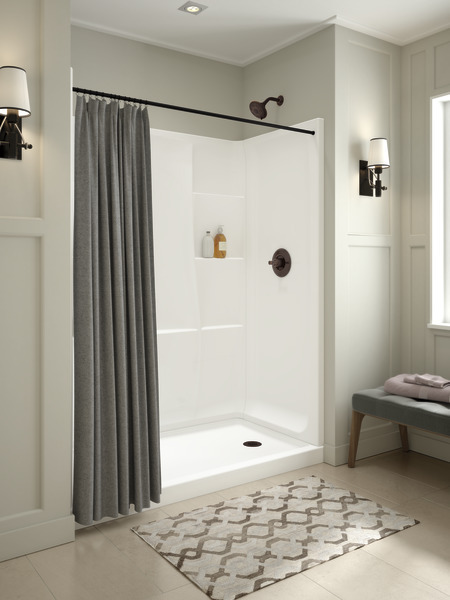 what is the combined dimensions when attached to the classic 400 shower base? 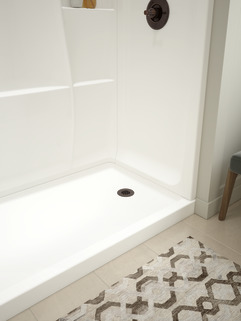 what is safe to clean this tub with? Is it possible to purchase panels separately? I have a damaged left panel. Sudden gust of high wind blew the left panel during install, breaking one of the corners.